Julimar State Forest Challenge is more of hill climbs than descents. The previous track on the “Julimar State Forest” page is quite tame given its mostly downhill. 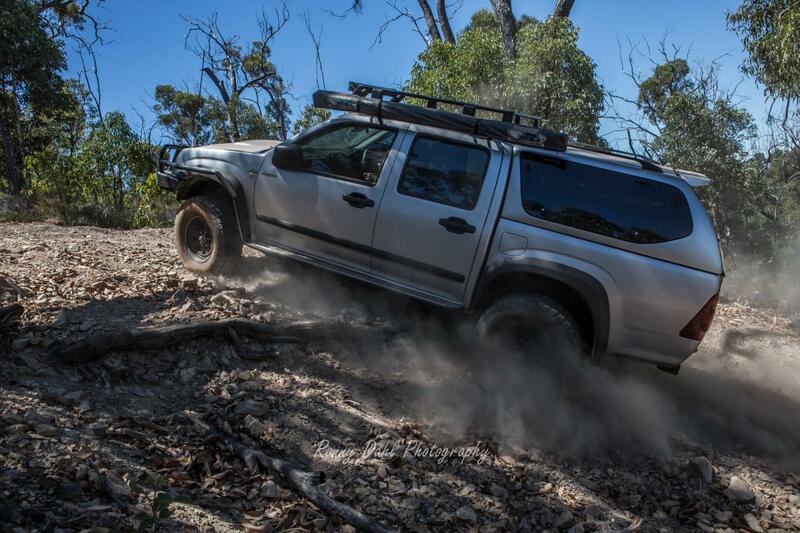 Off roading, there are different types of hills, some you would go down easy but is a challenge to go back up and others are better to go up than go down due to many different reasons. 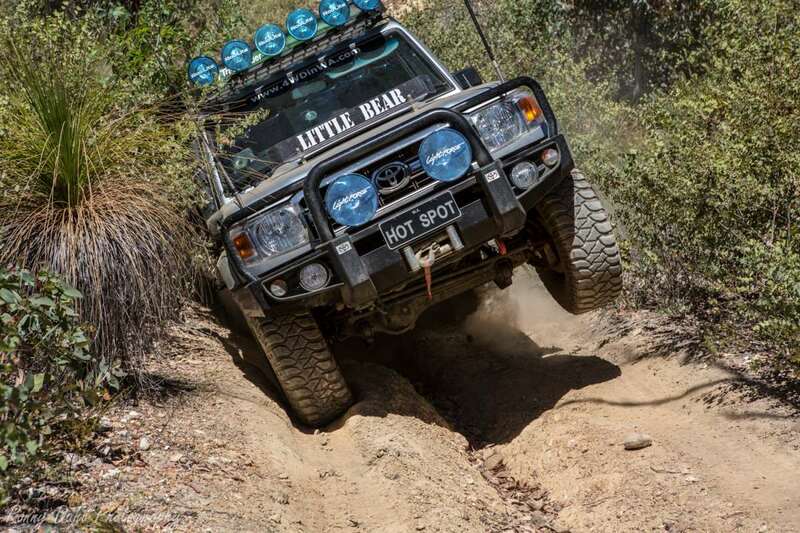 The hills on the Julimar tracks are the type easy to go down, so we found a different and much more interesting way in which adds another big hill climb and changes previous hill descents to Hill Climbs! 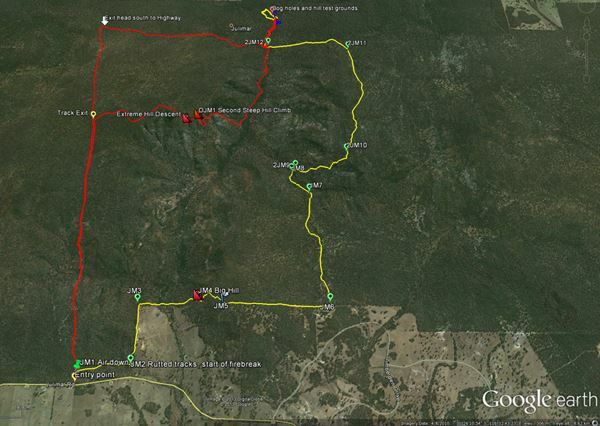 In other words, we made it far more interesting and challenging, therefor the name Julimar State Forest Challenge, this track will be an awesome winter trip! From the start it only takes about 250m before ruts start to appear along the track and after another 500m the firebreak fence line is reached. From here following the firebreak, heading north a big hill climb is visible on the other side of the Farm, which the firebreak is surrounding. Simply follow the firebreak track until the hill is reached. The Hill climb is just under 1 km in length and is quite steep, in the dry months it is not too hard but winter will change it that said it is a very enjoyable steep hill to climb early on. A few kilometres and creek crossing go by until waypoint JM6 is reached, from here a left turn heading north will take you through some easy going tracks in summer and there is plenty of evidence this track gets muddy in winter as there are plenty of dry rutted sections and the track passes by some wetlands. Not far after that a few more dry creek crossing are passed and the track turns into a rather smooth drive until the bog holes are reached. Once at the bog holes there are plenty of hill climbs as well, see below for more detail. This track in reverse is far more fun and challenging, instead of going down the rock steep hills you now have to go up!! 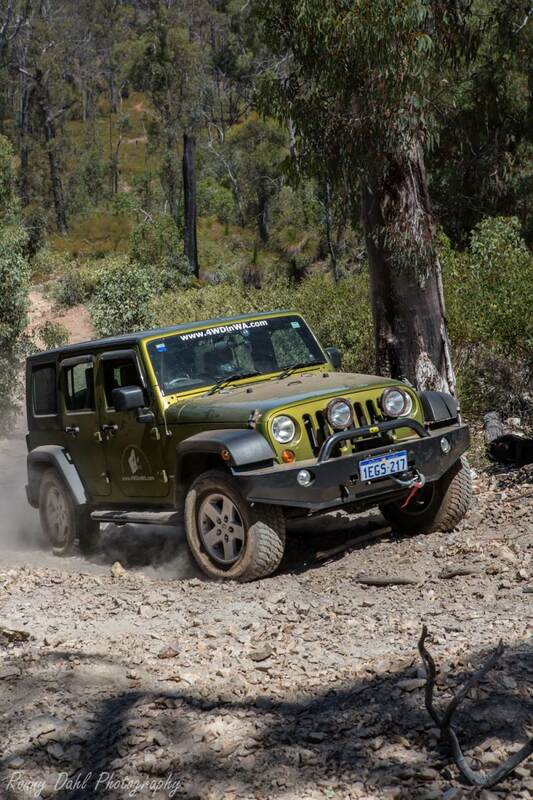 Summer will still be a good thrill and challenge in winter I would only recommend trying to do the Julimar State Forest Challenge track if experienced at tackling wet hill climbs with loose rock surface! There are plenty of creek crossings which have signs on possible knee to waist deep water levels, which will add to the challenge of escaping the water crossing on the other side as the terrain is very much up and down the entire way. A Dried Out Bog Hole. 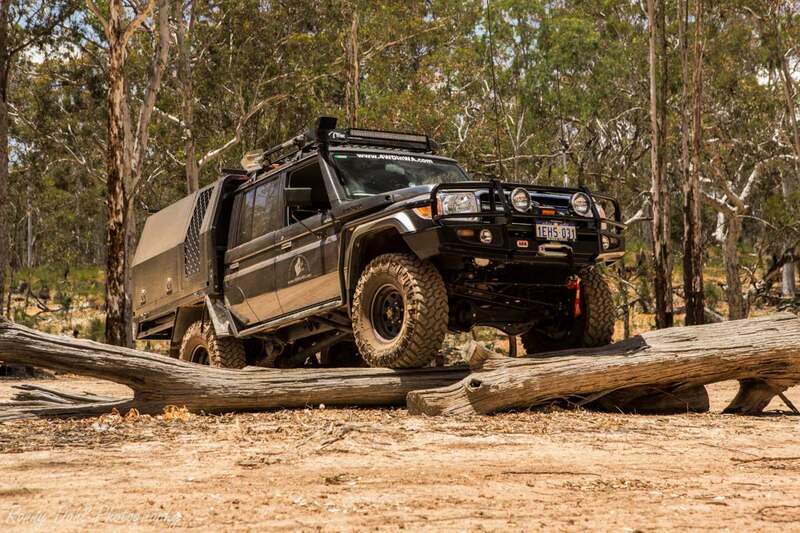 This area is great for those who like a lot of mud and for those who like to test the limits of their 4 wheel drive as there are many medium and small steep hill climbs around, with multiple creek crossings which vary in steepness. In summer it would be a good area for beginners to work out how the approach angles, departure angles, ramp over angles preform on their vehicle. We quite enjoyed that area and maybe a bit too much as we forgot about getting the camera out after the more interesting section had been done. In summer its good fun and will get the heart pumping for 99% of 4wders. In winter we would strongly recommend approaching with caution! 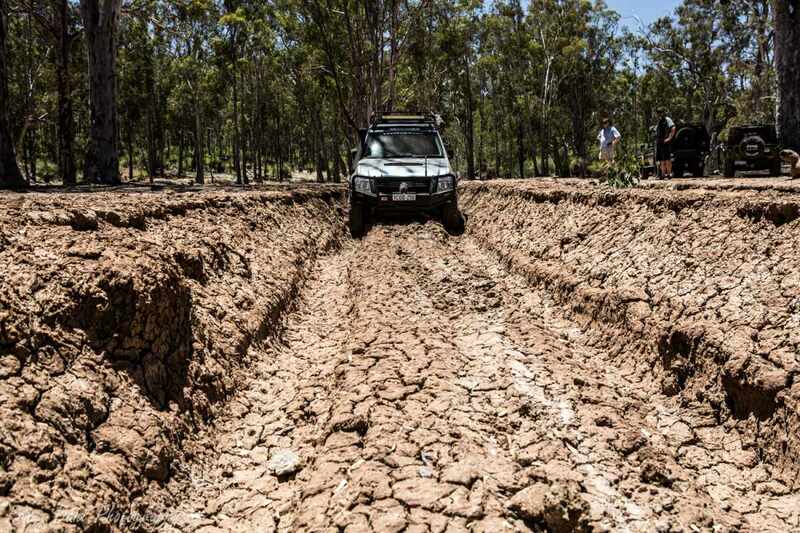 The tracks are very tight and slow going in areas with plenty of rutted out sections some of are on some tight turns which makes for interesting situations as some of these ruts were over 1m deep! The hill climbs can vary from medium to extreme depending time of year and rain fall! The winch will have a big chance to get a work out in this hilly Julimar State Forest Challenge track. Travel in convoy for these tracks is a must in winter! 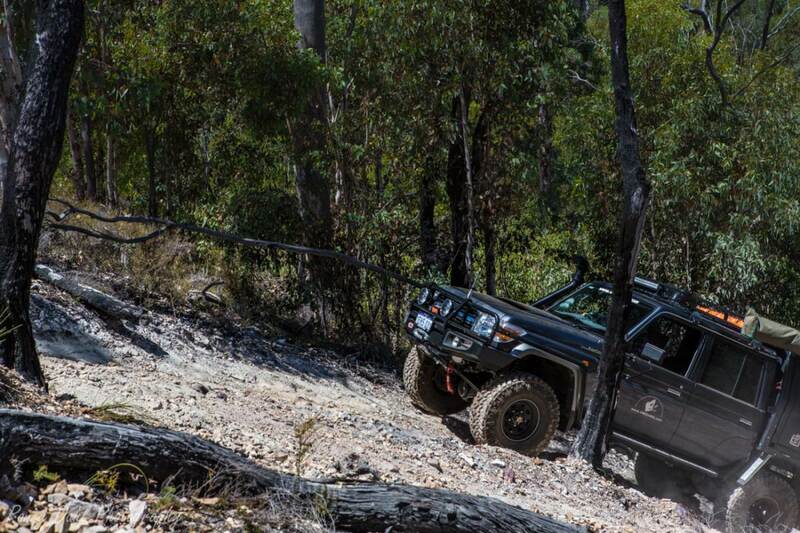 Recommended tyre psi is 16-20, low range gearing is a must in summer or winter. High clearance 2 inch lift kit or more recommended for IFS vehicles. We really can’t wait for winter as we know it will be a trilling heart pumper of a track. Keep with the main track. The track should start to open up. North for bog holes & hill climb area or south for the best part of the track and towards the exit. This one has multiple entries & exits, choose wisely and take caution! The easiest entry is the second one which is a 150m drive around to the south, walk the hill to choose the best exit. Once at the top follow the winding tracks until you reach the extreme hill descent (which you can avoid). 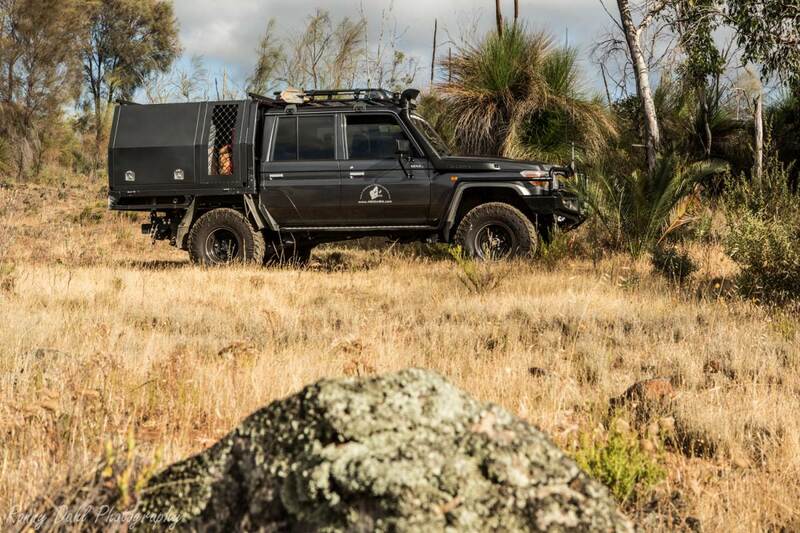 This is to the left when a small open area has been entered, turn right heading north west to continue along the track or try your luck with the extreme hill. Not sure where the tracks lead to at the bottom of that extreme hill descent so if you choose to try it make sure you can actually get back up! Head south towards the highway and air back up where you aired down. Final Steep For The Holden Up The Extreme Hill. Leave Julimar State Forest Challenge And Go To Home Page.